In the days after President Trump took office, Paul Manafort allegedly guided the administration on how to undermine and thwart the FBI probe into Russia’s election interference in the 2016 campaign, Vox reported Friday. A slow-motion crisis is building in the state of Florida. Former National Security Adviser Michael Flynn has told associates that he spoke to Russia’s ambassador to the U.S. during the 2016 campaign about how the two countries could work together on key foreign policy matters if Donald Trump was elected, Mother Jones reported Thursday. The question of what Michael Cohen did not tell government investigators — and why — loomed over his Wednesday sentencing hearing. Much has been made of Cohen’s decision not to enter into a formal cooperation agreement with the Manhattan U.S. Attorney’s office — a choice that prompted both federal prosecutors and U.S. District Judge William Pauley to advise against a substantial reduction of his sentence. In the courtroom, Cohen’s lawyer Guy Petrillo argued that there was no “mystery” and nothing “peculiar” about Cohen’s decision. Petrillo accused prosecutors of trying to “make a bigger case than they’ve already made” by hinting that Cohen elected not to share information about other criminal activity that he or others in his orbit committed. “They come forward with nothing to suggest there’s anything there,” Petrillo said of the government’s sentencing memo that twice references other crimes, “if any,” that Cohen may have known about or carried out. 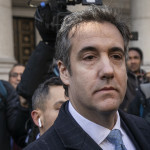 The decision to rush to sentencing rather than enter into a formal agreement, which could involve years of cooperation, was intended to bring a swifter end to the predicament Cohen and his family have endured, Petrillo said. 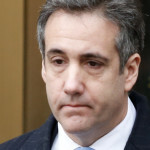 Petrillo noted that all of Cohen’s papers and electronic devices were seized by the FBI when they raided his office and residence in April. They have been reviewed by agents and prosecutors. In his own brief address to the court, Cohen reiterated that he had turned over a new leaf and wanted only to serve his sentence and reunite with his family as soon as possible. “I do not need a cooperation agreement in place to do the right thing,” Cohen said. But prosecutors said that Cohen doesn’t get to set the terms of his cooperation with their office. In the Southern District of New York, cooperators are expected to spill the beans about absolutely every minor fact they know, or get no agreement at all. “Mr. Cohen can’t have it both ways” by cooperating only on matters of his choosing. Assistant U.S. Attorney Nicholas Roos said. “We’ve treated Mr. Cohen just the way we treat any other defendant who interacts with the U.S. Attorney’s office,” he added later. Roos offered little indication of what other matters his office is investigating that Cohen could have provided critical information about. One reported line of inquiry is the involvement other Trump Organization executives had in coordinating hush money payments to women during the campaign. 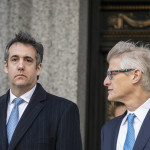 Some political observers (like our own Josh Marshall) have suggested that Cohen declined full cooperation because he feared implicating his Ukrainian-mob-linked in-laws in criminal activity, or feared facing a harsher sentence after revealing the full extent of his wrongdoing to prosecutors. Former prosecutors have noted that other defendants who fully cooperated with the SDNY were given jail time even after giving up every crumb of information they possessed. Cohen has promised to cooperate further with any investigative body that contacts him. It remains to be seen if he sticks to that pledge. But with the Trump Organization under scrutiny and Chief Financial Officer Allen Weisselberg reportedly cooperating, some of these matters of interest to investigators are likely to burst into full view regardless. Michael Cohen’s sentencing hearing was a spectacle, with all of the attendant soaring rhetoric, talk of democracy, and tears. A federal judge in Manhattan set to determine Michael Cohen’s fate on Wednesday has been presented with two starkly different assessments of Cohen’s conduct. Michael Cohen is emerging as a pivotal figure with knowledge of contacts between the Trump campaign and Russia, a new court filing Friday from special counsel Robert Mueller suggests. In a flurry of court documents filed late Friday, federal prosecutors sought a “substantial prison term” for Michael Cohen, and the special council’s office asked that any time served by Cohen for lying to Congress “be served concurrently” with his prison term in the Southern District of New York case. Federal prosecutors are seeking a “substantial prison term” for President Trump’s former attorney and fixer Michael Cohen. Federal prosecutors are taking a close look at the lobbying work that Michael Flynn’s former intelligence firm did on behalf of Turkey’s government, the Wall Street Journal reported Friday.